I’d like to take this opportunity before the first presidential debate to offer both candidates for office, Hillary Clinton and Donald Trump, some perspective related to our veterans’ health care. I’ve seen it all, from dealing with soldiers who would ultimately lose limbs from battle wounds to handling casualties of severe car accidents and shootings here in the U.S. as an emergency room physician in Odessa, Texas in the Medical Center Health System. 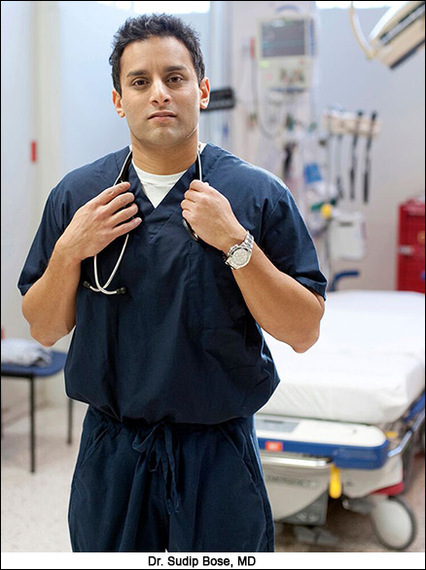 Being an associate clinical professor of emergency medicine at the University of Illinois College of Medicine in Chicago, I’ve trained thousands of medical students using my textbook on emergency medical care that has been widely adopted at medical colleges throughout the country. While you both have talked about taking care of our veterans, the need to continue care once they leave the service is immense. Our veterans deserve the best health care we can provide in America, and that absolutely must be a top priority. 1) We all, as a society, need to help. We can’t just dump our veterans into the U.S. Department of Veteran Affairs and forget about them, assuming they’re being taken care of. We, as a nation, send them in harm’s way as warriors. They put their lives on the line every day to secure our freedom and allow us to live in the comfort we’re used to here in America. But some of these brave men and women have been through the worst violence that humanity can dish out. Handling that mentally requires professional help, patience and time. Veterans often carry both physical and mental wounds. Their physical wounds can be tough enough to deal with — but their invisible injuries, even more so. These mental health issues shouldn’t be lumped together and referred to as Post Traumatic Stress Disorder — a label like that shouldn’t be placed on a veteran and be blamed on some incident or incidents a soldier went through. We should think about it more as Post Traumatic Alienation Syndrome — it’s more societal, I believe. Veterans feel alienated by their physical and mental injuries, and it’s up to us to help them. We must recognize that 22 veterans a day may commit suicide. We must make the commitment to them to do the best we can to heal the mental wounds they carry as much as the physical wounds. This goes directly to clearing out the bureaucracy and compressing the time it takes to get treatment. We need to be proactive in that regard. We can’t wait for veterans to come to us. We need to engage veterans and reach out to them or many will not get the care they need. 2) Increase a veteran’s ability to access quality health care. A veteran should have the right to go to any hospital in the U.S. for treatment. They shouldn’t have to wait in line at a distant VA hospital or clinic for days, weeks or months and be denied timely access to health care. A recent Government Accountability Office review of appointment wait times for patients new to VA health care found that veterans wait three to eight weeks for medical appointments; and still others couldn’t even get an appointment with a primary care doctor because VA staff did not handle the appointments correctly, according to the GAO report. In all fairness, it also takes civilians an average of 20-plus days to see their primary care physician. I would say my treatment of deposed Iraqi leader Saddam Hussein was better than what many of our veterans get. Veterans should be universally accepted at any hospital. And the hospital should be well compensated for providing treatment to veterans. Creating veteran HSAs — Health Spending Accounts — to use where and when needed would help with accessibility immensely. 3) Get the U.S. Department of Veterans Affairs functioning efficiently, or make it a second option, or eliminate it. The amount of money we’re spending on the department is eye-popping. President Barack Obama earmarked $182.3 billion for the VA in 2017. That figure has more than doubled since 2013. Support of our veterans needs ultimately to be realized through commitment of budget to step up their care and support with a bigger slice of that pie. Reduce the bureaucracy. VA hospitals must attract the best doctors available and provide admitting, courtesy and surgical privileges to those top doctors and provide compensation commensurate with each physician’s experience. The focus on quality and accountability at every level of the VA — from the administrative processes to their complete medical care up and down the chain of command — must be a priority. If a veteran encounters someone within that chain of command who is not effective, there should be consequences, up to and including termination of that VA employee. Quality and accountability must be paramount. The VA needs to regain the trust of the veterans, which they exist to serve. That will take a long time — years — to correct. But we must begin immediately to do that. And, Ms. Clinton and Mr. Trump, it needs to begin with you making veterans’ health care a top priority in your early days in office.